Actor Rowan Atkinson cheated death after careering off the road in his 240mph McClaren F1 supercar, pictured here. India's foreign minister has demanded a public apology from the the Press Trust of India (PTI), after it described him as "absent minded" in parliament, the national news agency said yesterday. At least 30,000 children under the age of five have been killed due to the drought and famine in Somalia, US estimates show. Nancy Lindborg, assistant administrator of the US Agency for International Development (USAID), told a congressional committee in Washington on Wednesday that the children have died in the last 90 days in southern Somalia, AP reported. 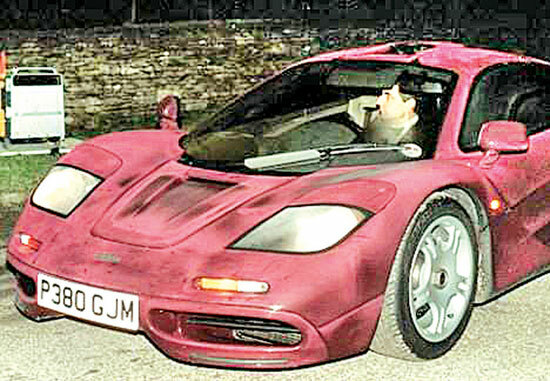 Actor Rowan Atkinson cheated death last night after careering off the road in his 240mph supercar. The Euro 650,000 McLaren F1 spun several times, smashing into a tree and ploughing into a road sign before catching fire on the opposite side of the carriageway.